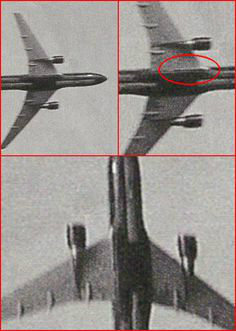 WHAT IS THAT THING under the airplane that supposedly hit one of the Twin Towers on 9/11 ?? A rocket ? Regular airplanes do not have these things - - "THINK - - - ! !